My thanks to the publisher and NetGalley for an ARC of this book. It is obviously no coincidence that the publication of this book coincides with Halloween. There is something magical that happens when the nights draw in and the leaves turn from green to orange and red. This book is so perfect for this time of year. Not only is it about witches but Hoffman has this incredible talent for writing books that are so evocative you can actually smell the magical plants in Aunt Isabelle’s greenhouse. There is something so comforting with reading the right book at the right time of year and this book is like cocooning yourself in a big, fluffy duvet and drinking a delicately spiced cup of chai. The Rules of Magic is the prequel to Practical Magic which was not only a brilliant film with Sandra Bullock (who doesn’t find a Sandra Bullock film comforting???) 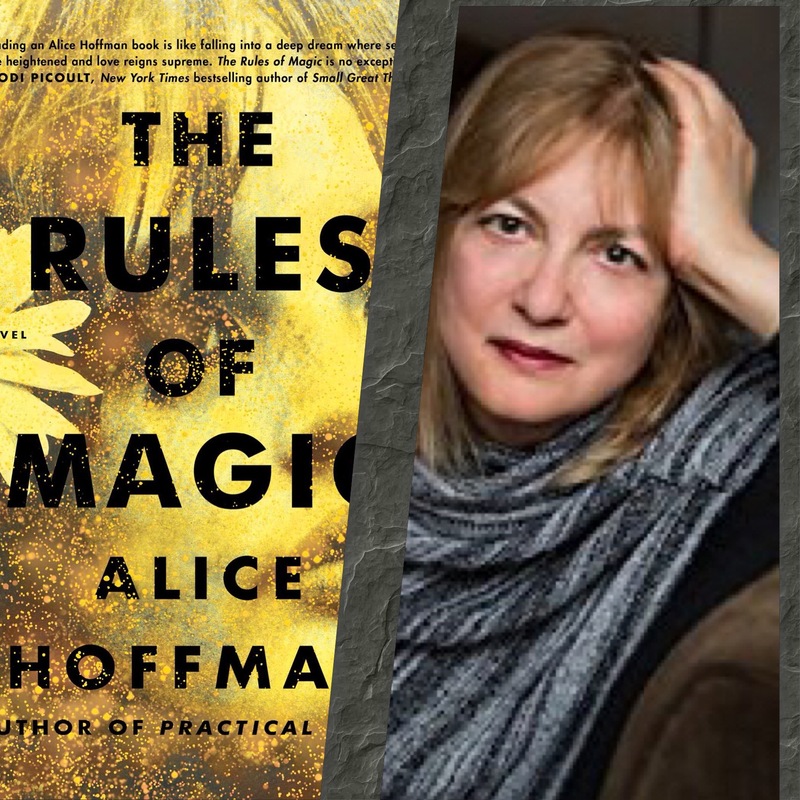 but was the hugely popular 1995 novel by Alice Hoffman. The Rules of Magic tells the story of Franny and Jet who are the two aunts in Practical Magic and also their brother Vincent. I have read a couple of reviews from people who disliked this book because of the magical realism. I would like to say that first and foremost this is a novel about family and the relationship between siblings. This isn’t a story﻿ about wand waving and ‘avada kedavra.’ If anything, the magical elements are about alchemy which is really interesting. I was particularly intrigued to learn about New York being a centre of alchemy in the early Twentieth Century. Love is also a major theme in the book. How do the Owens’s get around the curse which states that no Owens can find love? Hoffman’s writing is wonderful. It never feels rushed. It is beautifully descriptive and I also love how she creates an ominous feeling throughout the novel without it becoming an uncomfortable read. This was a beautiful novel and one I will be buying for a lot of my friends. Thanks again to the publisher and NetGalley for the ARC.